Dr. Suess was a lot more than someone who was good at making up words that rhymed. He was a visionary genius with deep insights into the nature of humanity and apparently an ability to tell the future and give advice that would be relevant to today's social media marketing. 1. "Today you are you, that is truer than true. There is no one alive who is youer than you." It's important to be yourself and to be honest about that when you are on social media platforms.Don't try to pass off other people's content as yours, and stay true to your ownw voice. Include information especially on a business profile that shows your human side. 2. "So the writer who breeds more words than he needs, is making a chore for the reader who reads." Keep things short and simple. There is no point to keep telling your customers the same thing. Figure out a way to reinforce your branding through all aspects of your updates, whether its text, links, images, or videos – if you make your voice unique you will not have to fight for recognition. 3. "Sometimes the questions are complicated and the answers are simple." Remember to keep things clear and simple. Realise that your followers may not come from the same set of values or ideas that you do, and may interpret your posts differently than you intended. 4. "For a host, above all, must be kind to his guests." We have seen the errors of the big companies that have been too liberal or nonchalant with their social media updates. Don't forget that what you write is there for the world to see, and that it could possibly offend some people, so its always better to err of the side of politeness. 5. "Unless someone like you cares a whole awful lot, nothing is going to get better. It's not." Social media has become a great place to take a stand on important issues and to join with others from around the world who care about the same issues as you. Use it as a space to let your followers know the things you care about and support those groups who are making a difference in our world. 6. "Be who you are and say what you feel because those who mind don't matter and those who matter don't mind." While you do need to make sure you are not offending others, its also important to be true to your business and branding, even if it does mean that there will be people who do not agree. Develop a set of social media guidlines and make sure any employees who update your sites are within the boundaries. 7. "Oh, the things you can find if you don't stay behind!" Don't be afraid to step out a bit and try something new. Engage other businesses and individuals in a variety of areas, and experiment with different types of intereactions to see what gets the most results from your customers. 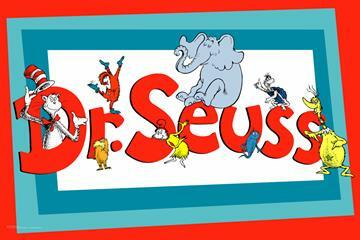 Do you have a favourite Dr. Seuss quote that you use for your life or business mantra? One of our favourites at Media Sound is this one, "Why fit in when you were born to stand out?" We take this quote to heart, making sure that we don't fit in with our competition, but rather stand out in the crowd. 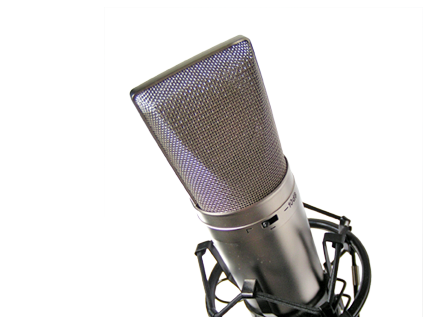 We know you have a lot of great options when it comes to who you choose for your voiceover or audio production product, and that is why we are so glad you continue to choose us. Whether its for our outstanding customer service, professional quality voiceover productions, or lighting fast turnaround, we will make sure we continue to to stand out and set the bar for the industry. This entry was posted in Audio Production, Marketing, Media Sound, Social Media, Tips and tagged advice, audio production, Dr. Suess quotes, how to, marketing, marketing tips, media sound, social media, social media tips, voice artists, voice overs, voice talent, voiceovers. Bookmark the permalink.